A Ribbon Sculpture Christmas Wreath is a lovely item to craft to add to your Christmas decorations and Christmas gifts. Take 6mm wide green grosgrain and find the centre. Place pin at the central point. Loop the right side of ribbon over and pin in place. Take the left side of the ribbon and make a loop towards the back and form a loop. 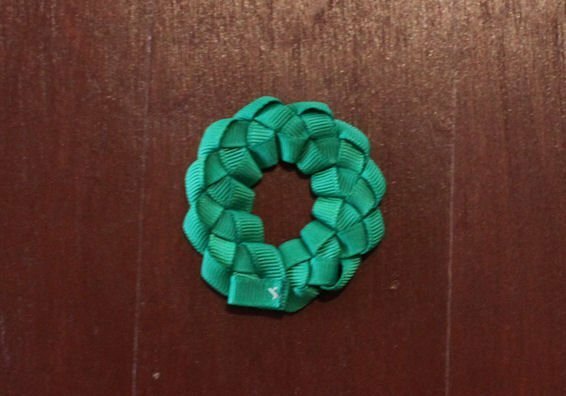 (There is no need to pin the second loop – I did not have enough hands to take the picture and hold the ribbon). Thread the left side loop through the right hand side loop. Remove the pin and gently tighten the right hand side loop until the other loop is relatively tight and secure. Make a loop with the right hand side ribbon and pass it through the left hand side loop. Gently tighten the left hand side ribbon until it is flush with the edge of the looped ribbon. Repeat on the left hand side. Continue until the braid is approximately 10cm long. Pull the ribbon of the last loop all the way through. Trim ribbon leaving approximately 1cm of ribbon and seal the ends with the wood burning tool or a naked flame. Bring the two end pieces of ribbon together and stitch – do not tie off stitching. Bring the two ends of the braid together and overlap slightly. Stitch together and knot thread. Make 2 loops as shown. Cross right over left and continue by folding it over the back. Bring the same loop though the bottom opening. Take one loop in each hand and gently ease the bow into shape. This may require a bit of loosening and tightening to get the desired shape. Place a stitch in the back of the bow being careful not to go through the front piece of ribbon. Trim off some of the tails leaving approximately 2.5cm and seal the ribbon. Take 12cm of 9mm ribbon and seal the ends. Place double sided tape the length of the ribbon. 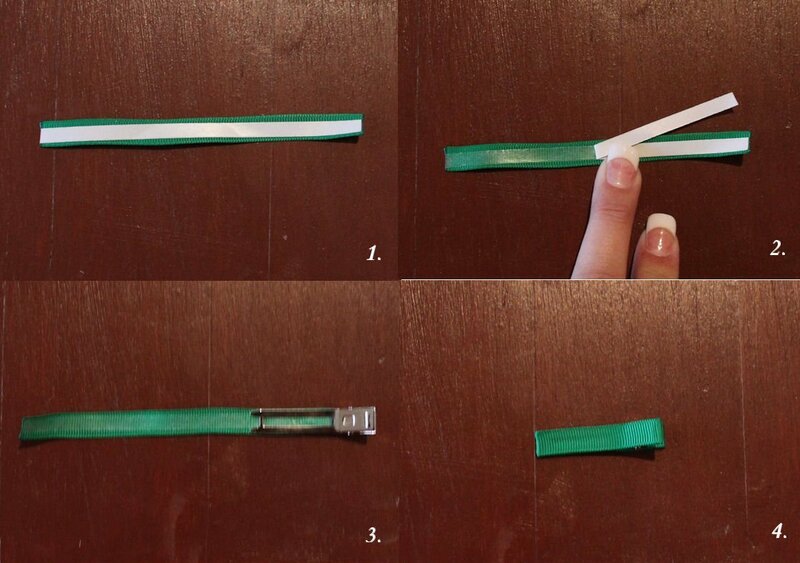 Remove backing tape, open the clip and place the ribbon between the top and bottom prongs. 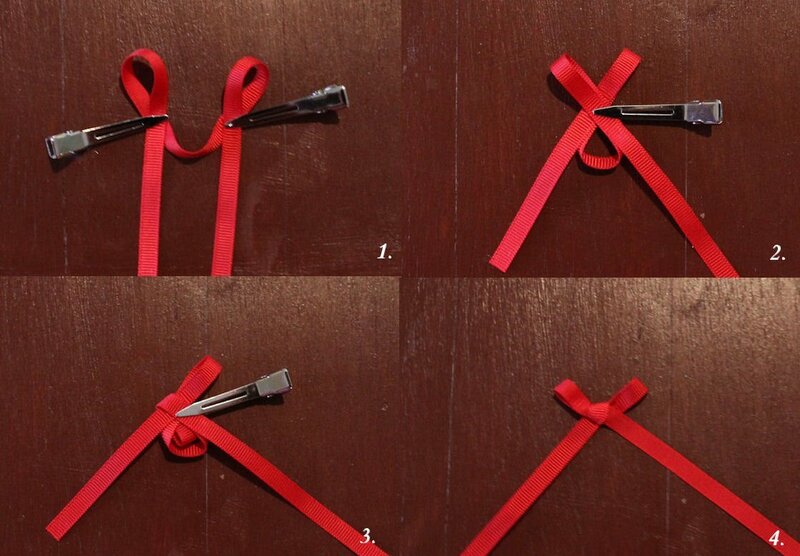 Carefully flip the ribbon over and cover the remainder of the clip with the ribbon. 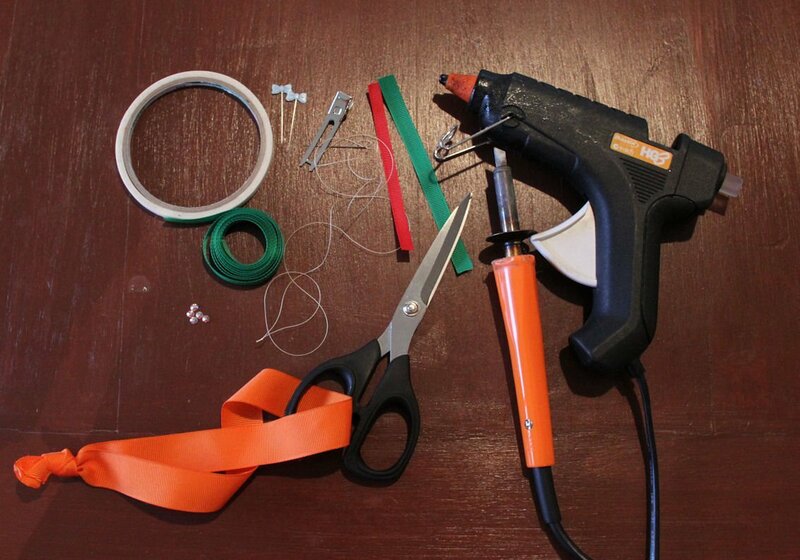 Put a bead of hot glue in the middle of the clip and place the Ribbon Sculpture Christmas Wreath on the clip. Hold for a moment for the glue to cool. If you like a bit of bling add the rhinestones now. We used 16ss (approximately 4mm) Clear AB hot fix rhinestones. We have kits on sale at Sarah Lauren for this project. Kit contains enough ribbon, clips and rhinestones to make 5. 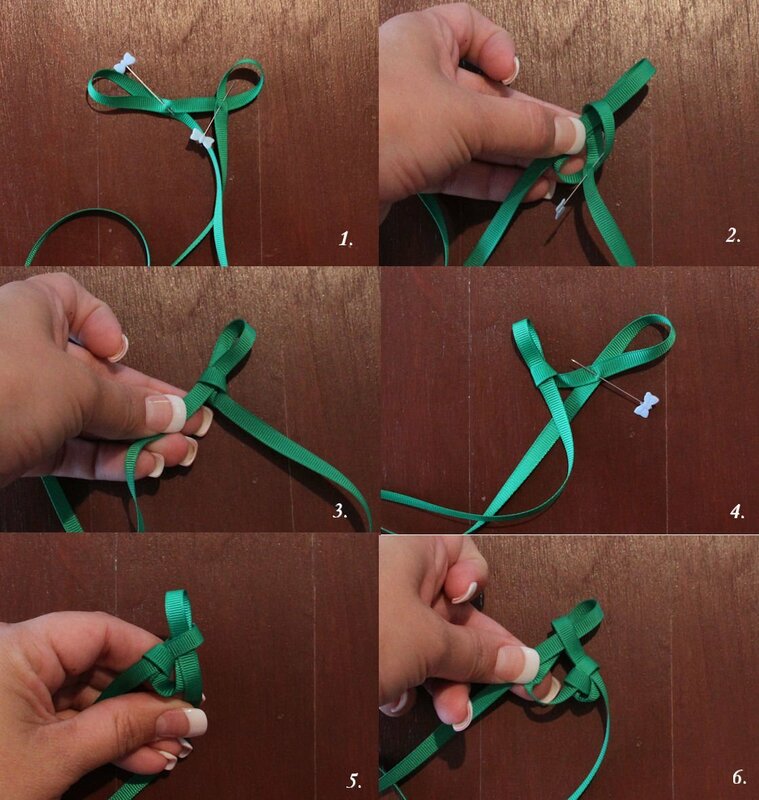 This entry was posted in General, Tutorials and tagged bow making, craft supplies, fete craft, free bow making instructions, free bow tutorials, free instructions, Free tutorial, Free tutorials, grosgrain ribbon, online craft supplies, wholesale ribbon. 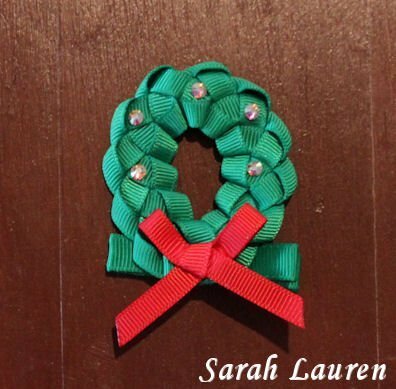 What an adorable little ribbon wreath! I’ll have to give this a try!